There are hundreds of different programs available for students who want to further their learning with a global experience. Read about featured programs below, or search from a full listing at the Education Abroad website. Karen Kunc, Cather Professor of Art, earned a Fulbright Specialist Project Grant to teach contemporary woodcut printmaking workshop at Dhaka University in Bangladesh. Kunc was accompanied by Camille Hawbaker, a graduate printmaker in the Department of Art & Art History. Hawbaker also engaged with students and demonstrated her own research directions. 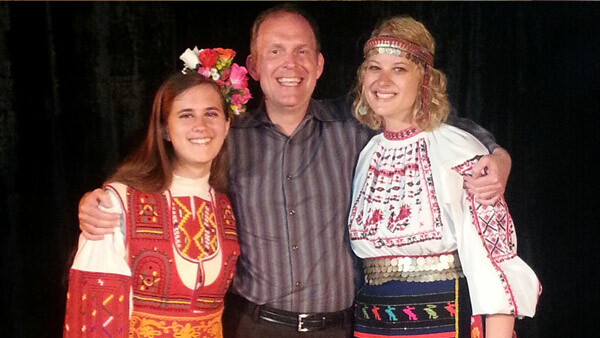 Several Glenn Korff School of Music students studied at the International Chamber Music Academy and Festival in Kyustendil, Bulgaria with Prof. Mark Clinton in 2013.